Julia Holter Australian tour 2015. Artwork by Carl Breitkreuz. Julia Holter Australian tour 2014. Artwork by Greedy Hen. 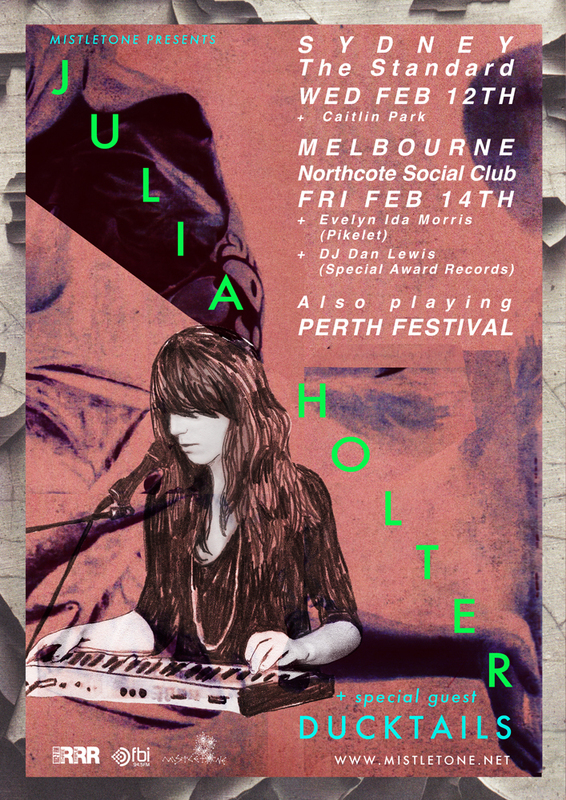 Julia Holter Australian tour 2013 + Laneway Festival. Artwork by Rick Milovanovic.